Bring your company to the next level with Contemporary Construction from Pixel Film Studios. This corporate package contains titles, transitions, backgrounds, and everything FCPX users will need for their editing needs. Users will experience our newly redesigned and simplified control system that easily allows for complete customization. 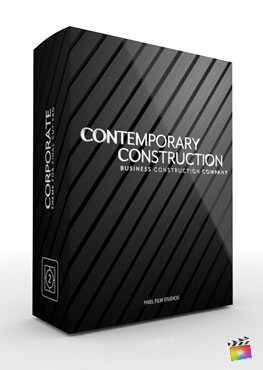 Combined with the 3D text controls located in Final Cut Pro, Contemporary Construction is the most powerful and intuitive system to date.